12.83mm x 17.35mm / 0.505in. x 0.683in. 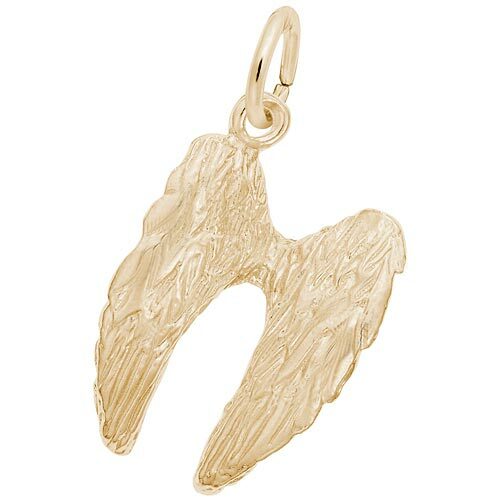 3 Dimensional Angel Wings Charm. Wings have etched details of feathers.